A Perfect Summer Supper or lunch for two! Pinch or two of dried crushed red chilli -up to you how much heat you like! In a small pan add the garlic, dried herbs, the basil stalks chopped and the crushed red chilli… and then the olive oil. Heat gently. Once it just starts to fizz a little, take off the heat, let it cool a little and add the tomatoes, tinned and fresh. Bring to a gentle simmer, add the balsamic vinegar, stir and leave with a lid on for about 15 minutes. Heat the oven to 160c. Pour over the sauce. Pop the fillets on top. Season the fish with a little rock salt and pepper, then sprinkle over the grated parmesan and a few more torn basil leaves. Cover loosely with a sheet of tin foil. Then slide it into the oven and bake for 20 minutes. Gently, with a fish slice, remove the sea bass fillets and pop on a warm plate. Mix the quinoa and basmati rice into the sauce, then replace the fish, skin removed. It’s a cracker and very, very tasty. 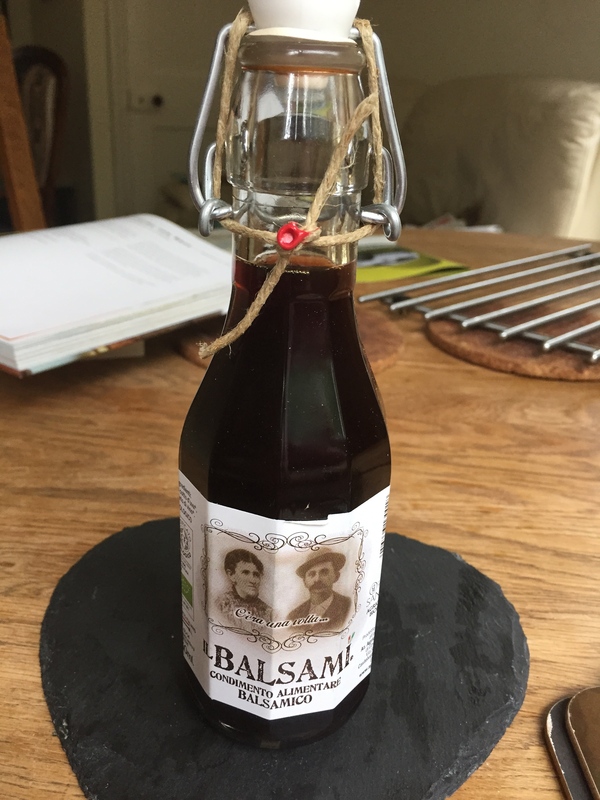 A Stunning Balsamic to beat all Balsamics! Be adventurous with how you use your balsamic. This one is so beautiful on the palate that you could almost drink it! It has a fabulous taste almost a cross between honey and a velvety sherry. Stunning! The aroma has no sharpness or acid notes. I have used it so far in a number of ways. 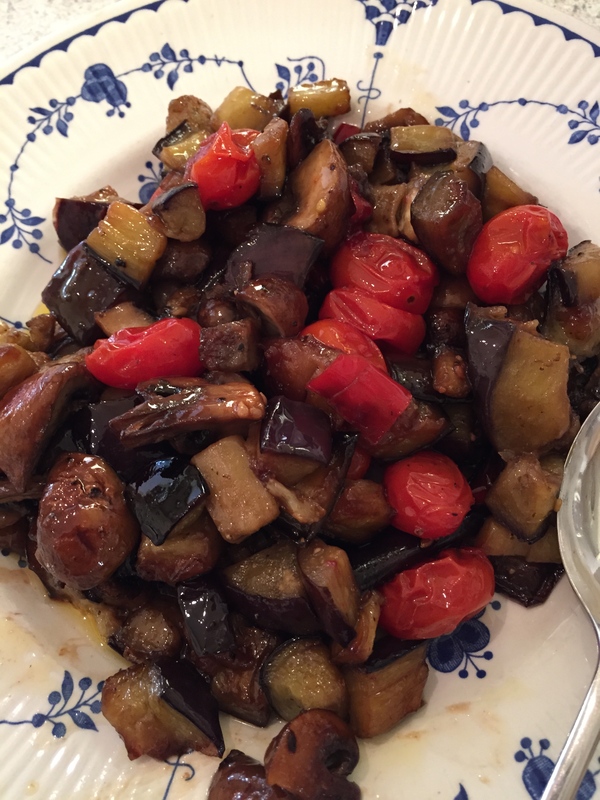 The first thing I made was an aubergine side dish that is an ideal accompaniment to all meats or fish dishes. Great too on its own cold. Cube an aubergine and pan fry it lightly in olive oil. You may need to add a little more oil early on with the aubergines. As it browns add a finely chopped clove of garlic, a deseeded chopped fresh red chilli and a handful of san marzano tomatoes – or any good baby toms will do. Continue to stir and as the tomatoes begin to soften add a handful of any mushrooms of your choice, quartered – I used chestnut mushrooms this time. Add a little sea salt and a grind of black pepper. 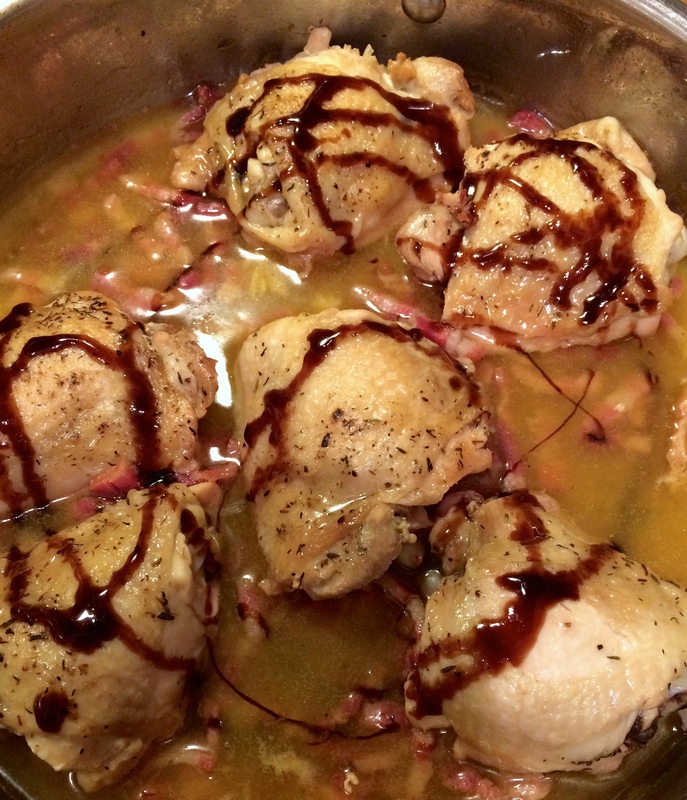 After about 20 minutes on a low to medium heat add a good splash of the balsamic vinegar – about two tablespoons. Bring the heat up and once it begins to bubble,, turn the heat right down low and leave for about another 20 minutes. 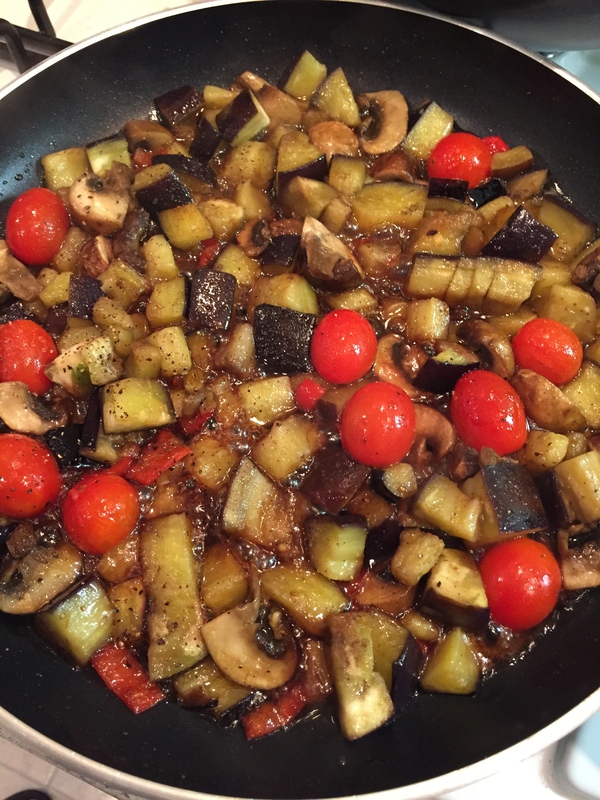 The resulting dish is a marvellous combination of flavours enriched by the balsamic vinegar and, served warm, it is one of the best vegetable dishes there can be! Crusty bread is essential to mop up any of the unctuous juices! 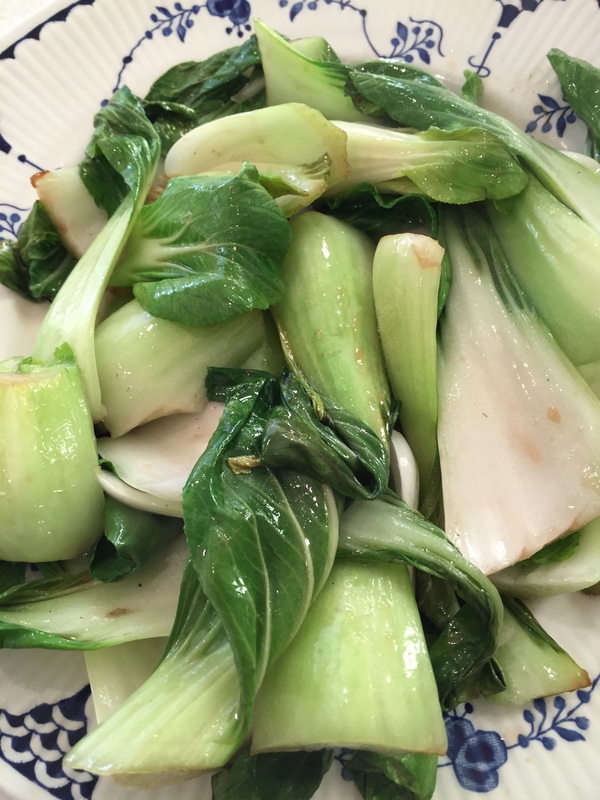 I have also used this product to enliven one of my favourite greens – park choi. Once you have separated all the leaves, add to an oiled wok and after a couple of minutes add a tablespoon of the balsamic and toss gently. Magical! 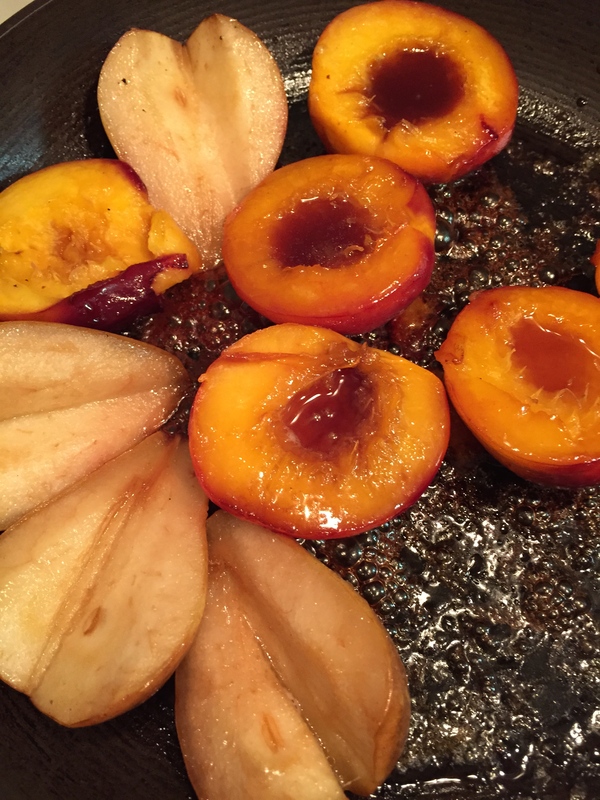 And it is simply divine with pan fried fruit! 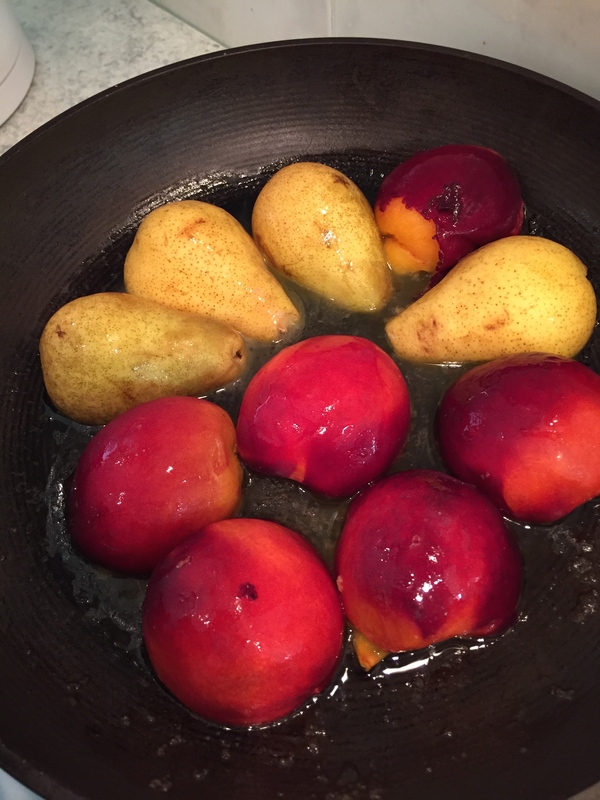 The other night I pan fried pears and nectaries, halved in butter and little brown sugar. After 15 minutes I drizzled each one with balsamic and left it for half an hour to marinate over a warm heat. The vinegar lifts out all the flavours and intensifies them wonderfully. All you need to serve them is a little mascarpone or crème fraîche. 200 gm gorgonzola cut into cubes – roughly 2 per pepper half (if poss. get the dolce not the piccante gorgonzola..
Heat a large frying pan – brush the pepper halves with olive oil inside and out. Pop them in the hot pan cut side down for 5 minutes or so. Turn them over and add 2 pieces of cheese to each one. Leave to cook for a further 10 minutes. Pop the pan then under a hot grill to finish off melting the cheese for about 2 minutes – keep an eye on them! For the dressing – combine all the ingredients well in a bowl. 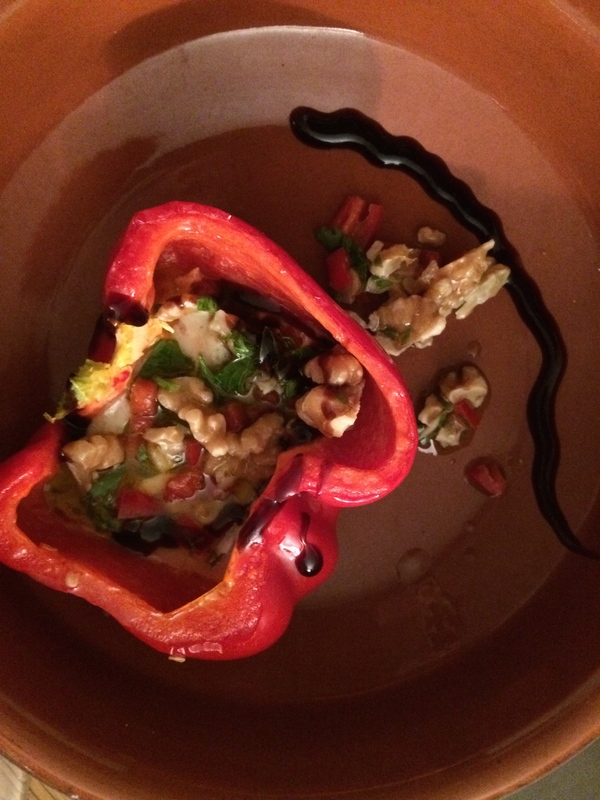 Arrange the peppers in bowls – drizzle over a little of the dressing and then finish off with a squiggle of the balsamic glaze. This is a fabulously simple Italian starter from the pages of Gino D’acampo – only tinkered with slightly! You could also use taleggio cheese like Gino…though I have to say the walnuts in the dressing combine mellifluously with the gorgonzola. It is a surprisingly filling dish too when served with a slice or two of a good rustic bread to mop up the juices. It would be a great lunch dish on its own. I saw this being cooked on a fabulous t.v. programme by the Italian cook, Gino D’acampo and knew instantly that I had to give it a go. It is simple and the flavours are beyond mere words doing them any justice! I cooked it last Friday, starting at 6.30 pm and we sat down to eat at 8.15pm – perfect. You could use pancetta instead of lardons. 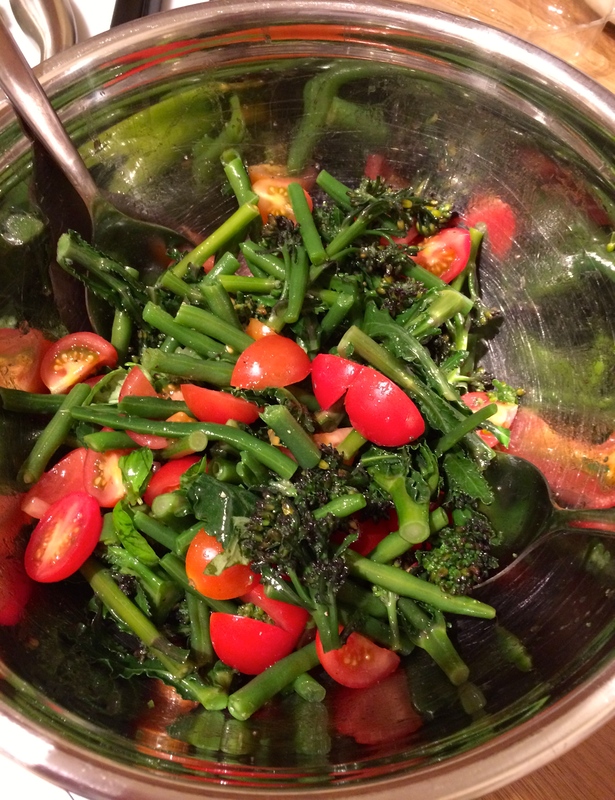 The original recipe calls for asparagus in the salad but it is out of season now, so I went for two greens that complimented each other harmoniously. 4 chicken drumsticks, bone in and skin on I just went for the thighs but if you are hungry…do both! A few fresh flat leaf parsley leaves – I used fresh basil leaves instead as I had no parsley! Heat the oil in a large sauté pan with a lid or a casserole dish. Put the chicken pieces in the pan skin-side down and fry for 5–7 minutes until the skin is golden brown and really crispy. Season with salt and pepper. Turn the chicken over, season the skin and add the pancetta. Cook for a minute before adding the garlic and thyme. The lardons should be almost crispy when done. Deglaze the pan with the white wine, scraping up all the caramelized bits from the bottom of the pan. Allow the alcohol to bubble for a minute, then add the stock. Cover the pan and simmer gently for 1 hour, adding more stock if the contents of the pan become dry. While the chicken is cooking, par boil the beans for 6 minutes and remove from pan and drain – pop the broccoli into boiling water for just about 4 minutes until the stems are al dente – so you can just pierce them with a knife. Drain these too. Rinse beans and broc in cold water. Leave to one side – 20 minutes before the chicken is ready pop the broccoli, beans, tomatoes, basil leaves, lemon juice and extra virgin olive oil into a large bowl. Season with salt and pepper then toss everything together. Leave to stand. 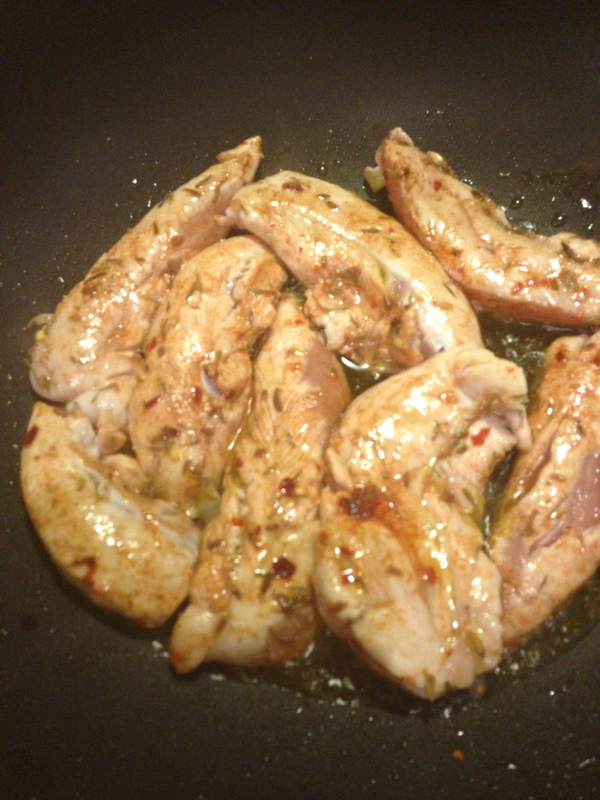 When the chicken is cooked, remove it from the heat – the sauce should have reduced and thickened. Stir in the balsamic vinegar, return the pan to the heat for 1 minute to warm the sauce, then serve the chicken and sauce with the scrumptious salad. This is simply….fantastico! A dish with a wow factor – the salad is such a marvellous change from usual chicken accompaniments and the delectability of the sauce in the chicken dish is remarkable. In a dish I broke up three hot smoked fillets of salmon and added my own mesclun – mizuna, rocket (arugula), endive. Then a swirl of lemon balsamic creme to round off. A poppy seed baguette from our bakers and a few baby plum toms and hey billy whizz…lunch! Food need not be complicated or expensive – just good quality ingredients and an eye to keep it simple. Let there be light lunches! Just in case you missed this last time round…and I’m going to have this for lunch today I think!! This wonderful rendition of the oft overlooked beetroot is by Bonnie Lalley and is the second in a series of joint ventures between us. I was brought up on pickled beetroot and it accompanied so many dishes in our house, from my mother’s succulent steak and mushroom pie to Lancashire Hot Pot to more frugal suppers of cheese or pork pie. It added an often much needed splash of colour to some otherwise overcast meals. Its deep scarlet hue always made me feel that here was something exotic in deepest, darkest Manchester – and yet it grew on all the allotments around without me then realising. It is related to the splendidly named mangel-wurzel, used for animal feed, and the flavoursome veg, chard. And this root of joy has been around since the Greeks – Theophrastus referred to the cultivation of it 300 years before the birth of Christ in his botanical writings. It is descended from sea beet, a wild seashore plant, which grows around the shores of the Mediterranean and Atlantic coasts of Europe and North Africa. In the 16th century it was referred to as Beta Roman in cookery writing. In 1699, it was said that thin red slices of the boiled red beetroot were ‘ a grateful winter Sallet.’ In the same tome, by John Evelyn – ‘A Discourse on Sallets’, he noted that it was ‘by the French and Italians contriv’d into curious figures to adorn their Sallets.‘ Now there’s a challenge for you all! The luxuriant deep purply red colour is due to the mixture of a purple pigment, betacyanin, and a yellow one, betaxanthin. And it stains incredibly well, as my mother used to remind me over and over again, lest I ever spilt any on her newly ironed tablecloth! The leaves of this root – beetroot tops – are also now used more and more in salads and they are both a thing of beauty and also very, very tasty. They are also stuffed full of marvellous minerals and vitamins. Beetroot is a great source of fibre and folic acid. Olympians drink gallons of beetroot juice I am told. This is truly one adorable vegetable. And Bonnie’s painting captures the royalty wrapped up in this remarkable root. And so to finish – a recipe that shows it off to its best. Bring your oven up to 230c. Wrap the beets in foil and roast for about 45 minutes to an hour for large ones – or 30 minutes for baby beets. In any case they need to be soft enough for a knife to go through them easily. Once they have cooled rub the skins off and either keep whole if small or halve then or quarter the big ones if using. Toss in the olive oil. Scatter your rocket and beetroot leaves on a serving plate. 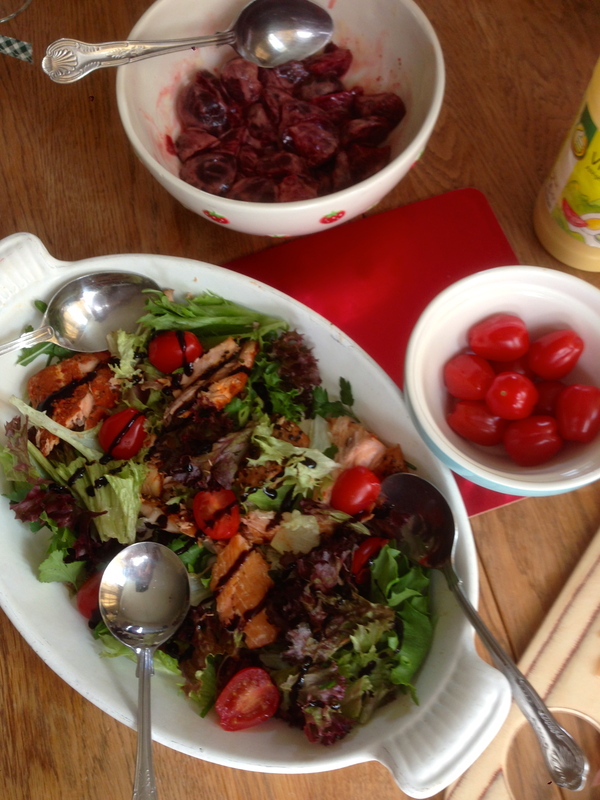 Arrange the warmed beetroot on the leaves and drizzle with balsamic vinegar and a little more olive oil. Pop a slice of goat’s cheese by each piece of beetroot and grind over some sea salt and black pepper. Serve with more balsamic vinegar to taste and warm crusty bread. Nothing vulgar about beta vulgaris. It is the Queen of the root world. A fab fajitas for a wet Wednesday…. The day began well…pink sun rise, apple soft clouds..then around 2pm the heavens opened and a gentle melancholia set in…could the summer really have fled? Is this the beginning of autumn? Chills ran down my spine for the first time since March…I have already begun dreaming about next summer and where to escape to. Enough! Time to make a culinary mental gear shift…stop with the salads and the ozone infused paellas…time to get the autumnal hard hat on and make with the dishes that will sustain us through until the time when we can emerge from the English winter and sally forth to heat laden lands. But for the time being – let’s start thinking end of summer fare. And this simple supper dish this evening was just right for the frame of mind I found myself in. Memories of the dying summer, coupled with the heat and smoke of the on coming solstice fires. And it felt healthy too. Pop all the marinade ingredients in a shallow bowl and then add the chicken pieces – coat in the wonderfully unctuous sauce and leave for around 30 minutes to an hour. Mix the shredded lettuce in a bowl with the spring onions, cucumber and tomatoes. Add a tablespoon of olive oil to a wok or large frying pan – add the chicken fillets once the oil is hot and sizzle for a good 10 minutes until cooked. Add the slices of parma ham, whole to the pan, gently. Let them just start to crisp. Warm the tortillas in a small frying pan and pop one on each plate. Share out the salad mic between each wrap – then add the chicken and top with the parma ham. I then added several slices of red jalapeños because I like the heat….serve open with a range of sauces and chutneys. This is so simple and yet so mouth-fillingly sumptuous. And as always, you can play with it how you will…adding other ingredients that are lolling around the fridge or cupboard – be creative! Catching up on myself here…been a silly busy week, so much so that i have barely been able to lift glass to lips before I have nodded off some nights. So…before tonight’s proper post – i.e. what I have just eaten..here is a look back at food I have prepared since my last post – though to be honest Monday and Tuesday slipped into the vortex of knackerdness so nothing was cooked – I think I had a takeaway on Monday night ..and last night I just nibbled as I got in so late. But I do remember Sunday and I do remember getting intimate with a delightful bowl of radishes. They simply glimmered and shone as I put them in a dish with a silky balsamic cream glaze and simply picked at them accompanied by an over friendly white wine. I then roasted an organic chicken stuffed with butter and greek basil and garlic. 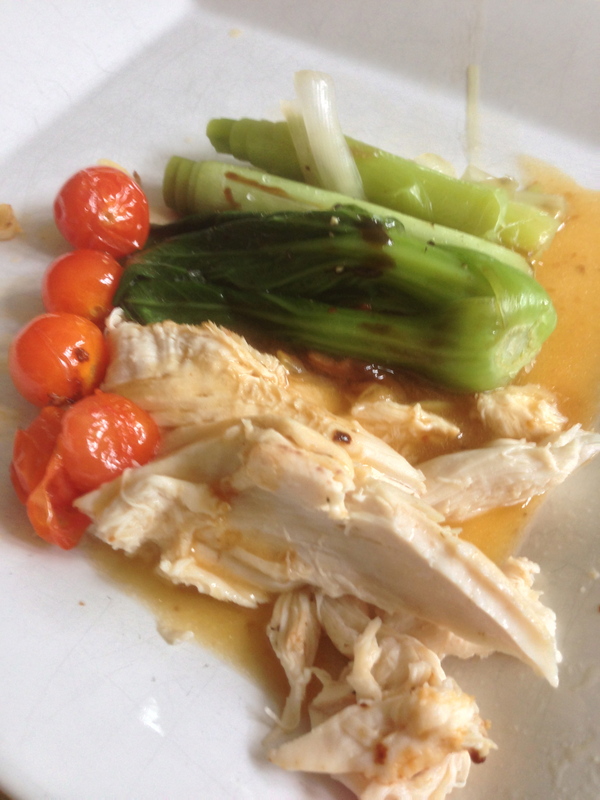 I served this with baby pak choi steamed lightly, very very lightly…and tomatoes pan fried in garlic and rosemary. I poured over a little of the jus too… and if the meal had been a woman and I was single I would have asked it to marry me, it was that fine. 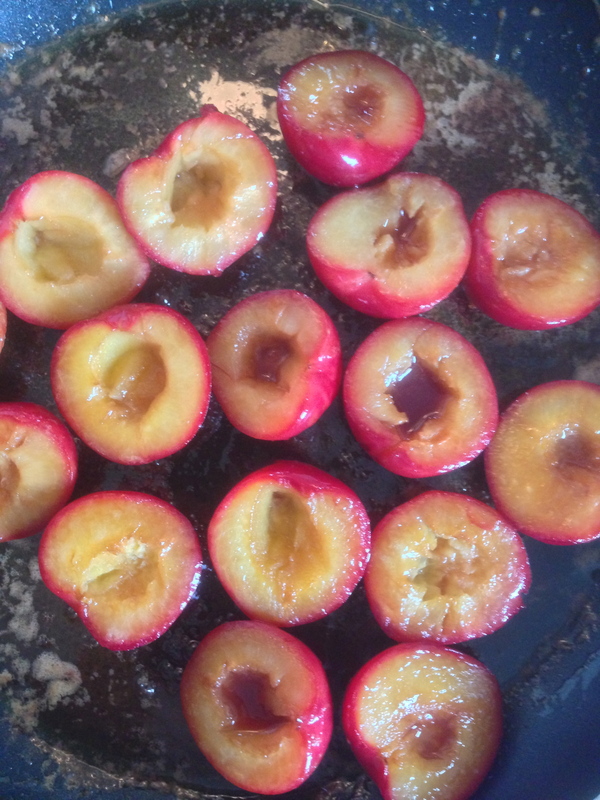 Then, just because it was one of those days, I pan fried some cheeky plums in butter and muscovado sugar and for the last two minutes I drizzled over more than a fair share of damson liqueur. It was this side of ambrosia…..a very delightful meal…..am just listening to Lady Gaga in the background and she is singing that heart-stoppingly beautiful song, Edge of Glory…sort of described how I felt during that meal. Sometimes, I think folk who write cookery magazines can be a little lazy. I have found several recipes, which. if you followed them to the letter would be either rather dull, or even quite tasteless. I like Jamie Oliver a lot, but I sometimes feel, probably like the great painters, many of the recipes have not had his ‘touch’, but one of his minions – someone who is probably trying to fill a space in the mag or beat a deadline. Anyway – moan over. One of these recipes, I have ‘fiddled with’ and I think it now tastes better than when I originally tried it! In essence it is simple – but success hinges on the use of good ingredients – especially the tomatoes. Too many tasteless ones out there! Beware! So, last night’s supper went something like this…. 500 gm really tasty toms – I used some baby plums and some organic vine wallahs. 2 courgettes – halved lengthways and then cut into threes. 150 gm sourdough or soda bread torn into chunks. Small bunch fresh thyme leaves stripped off the stalk. Mix the courgettes, tomatoes, bread, thyme, some salt and black pepper in a large bowl. Leave to one side. Pan fry the thighs skin down in olive oil on a highish heat until the skin browns and crisps a little. 2- 3 minutes should be dandy. Add them to the bowl with the other ingredients plus the balsamic and a good drizzle of olive oil. Then tip into a large roasting tray. Ensure the thighs are skin side up. Drizzle a little more olive oil – ensure the courgettes get a good dowsing. Put it in the oven for one hour. Check half way through – baste it a little and add a tad more oil if it looks a little too sticky. But that stickiness is half of what you want! Cook til the chicken is nice and crispy and the toms are squishy and the courgettes nicely roasted. Do not be tempted to put foil over it at any stage! It ends up steaming things and spoils the show! I served it with a green salad. And a big shiraz….A good dish – and a simple one. And one that balsamic was made for.